Process sustainability is one of those topics that concerns everyone. In general, these structured principles exist to preserve our planet's limited resources by controlling the materials consumed in those processes. Sustainable powder coating technology is built around these concepts. Designed to bond without using environmentally damaging solvents, the electrostatically based coating procedure is fundamentally clean and dry. After all, doesn't this technology recycle its own waste? What is Powder Coating Reclaim? 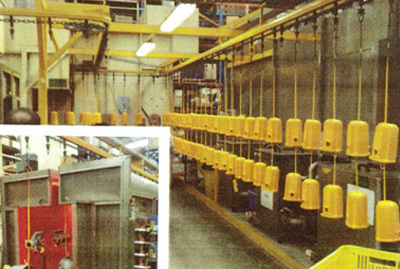 Dedicated mechanisms collect the powder coating residue after the workpiece has moved on to the curing oven. They reclaim the waste and sieve the pigment-loaded particles. Indeed, there's a developing industry supporting this after-process strategy, with cyclone technology entering the equipment setup as a far more efficient reclaim system, one that meticulously sorts the different particles according to their mass. Meanwhile, a modular layout adds energy-efficiency to the recyclability feature. 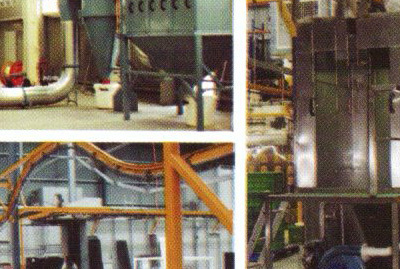 Imagine the streamlined labour costs and trimmed overhead when the parts conveyance apparatus hooks the powder application booth to the curing oven. A wet paint operation just can't match that kind of refined coating efficiency, nor can it hope to compete with the productivity-enhanced material handling strategies in use here. Even when a dried solvent is left to its own devices, there's a cost exacted. The heat of the sun causes volatile organic compounds to float free. The emitted solvents stink up the air and make sensitive respiratory systems contract. Headaches grow worse, people feel dizzy, and there are complaints of nausea. Again, solvent-formulated coatings are known to release these VOCs. Powder coated parts do not suffer from this side effect. The thermoplastic finish is hard and colourful, plus it's showing off a desired texture, but it's not emitting any toxic gasses. Viewed from a sustainability perspective, this means the coating will last because its naturally inert material base is unaffected by its environment. 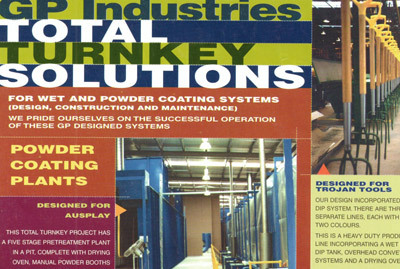 Designed to last, the powder finished product won't require maintenance, nor will it require a return to the application booth for a second coating. Every stage in the powder coating process has sustainability aspirations. The equipment reclaims the material after the work in the booth is finished. Fans and ducts filter the particles, then there are cyclones and sieving systems in place to efficiently separate the powder. The application voltage and baking temperatures are finitely governable, so the productivity envelope always adopts a detailed shape, a profile that's manipulated to reduce the energy consumption footprint while product quality is maintained. Finally, when the parts leave the factory, they're VOC free and certain to last.